Senior Advocate Ram Jethmalani announced his break up with Prime Minister Narendra Modi and has written a letter to him which reads, “Now we shall fight it out in the Supreme Court and the court of the people of India. My diminishing respect for you ends today.” Earlier, Mr.Jethlmalani had written several letters to the Prime Minister, asking him to not appoint former Central Board of Direct Taxes chairman KV Chowdary as chief vigilance commissioner (CVC). However, the Government went ahead and made Mr.Chowdary the CVC on Monday. Mr.Chowdary is the first non IAS officer to be elevated to the position of CVC. Senior lawyer Prashant Bhushan too had questioned his credentials and had reportedly claimed that it was during Mr.Chowdary’s tenure as Director General of Income Tax that Radia tapes were intercepted but he failed to act on them. The Government has appointed the CVC nine months after the post fell vacant. Around 40,000 pending cases have piled up in the Commission due to delay in making appointments, says RTI Activist LokeshBatra. Interestingly, the government has appointed only one of the four vacant positions, while 553 persons, including several bureaucrats had applied for appointments. 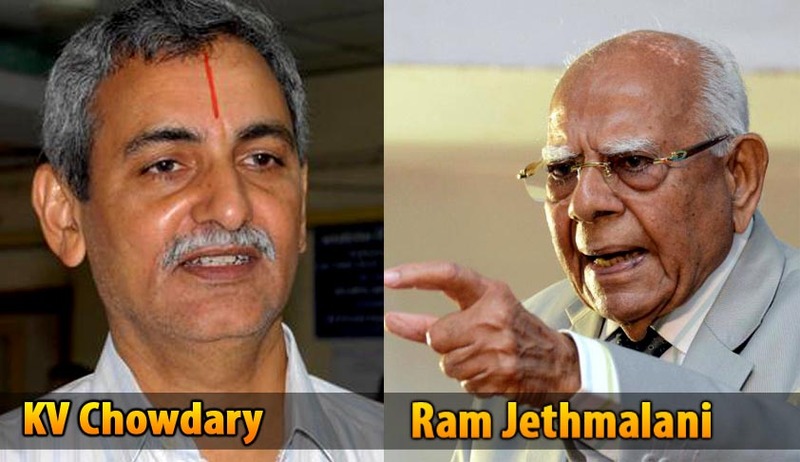 You may also read: Appointment of KV Chowdary as CVC the “greatest disaster that will fall on this unfortunate nation” : Ram Jethmalani.